Oceanfront, need I say more. 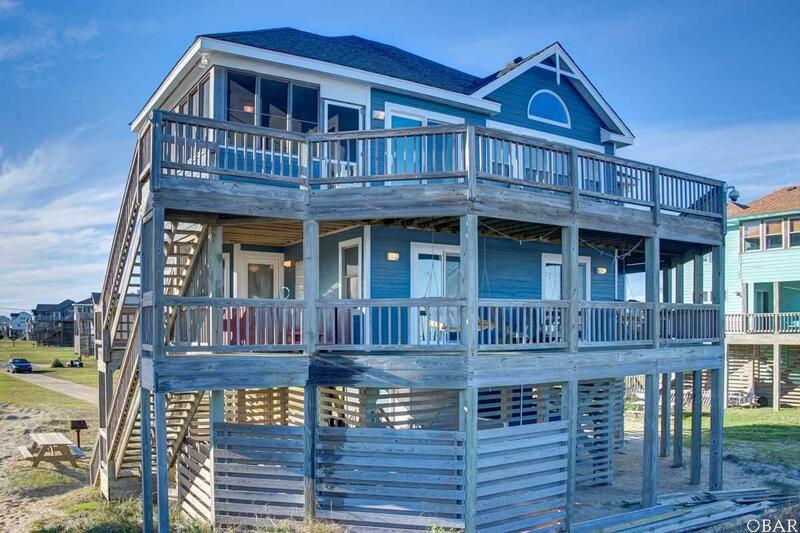 This 5 bedroom oceanfront home is a very popular rental home. Already has rentals thru November on the books! No wonder, there is plenty of space for everyone. Imagine sitting in the Hot tub on the second deck while you watch the ocean waves roll in. A fireplace in the living room will help to take the chill off of spring mornings. A screened porch, wet bar, fireplace and plenty of deck space for a spectacular view. Don't miss your opportunity, schedule an appointment to see "Tide Song".